Porquerolles Island is a perfect destination for anyone who wants to add a tropical touch to their holiday in Provence. There is a romantic story related to Porquerolles Island which starts in 1911 when a Belgian adventurer and entrepreneur Francois Joseph Fournier and his wife chose this place as one of their honeymoon destinations. They fell in love with Porquerolles Island so much that they actually decided to buy it and start a family there. From that moment on the couple dedicated most of their time to improve the life on the island, creating water system networks, guaranteeing free access to healthcare and planting local and exotic species. Fournier’s wife Sylvia was a pioneer of tourism and opened first hotels and restaurants on Porquerolles Island. 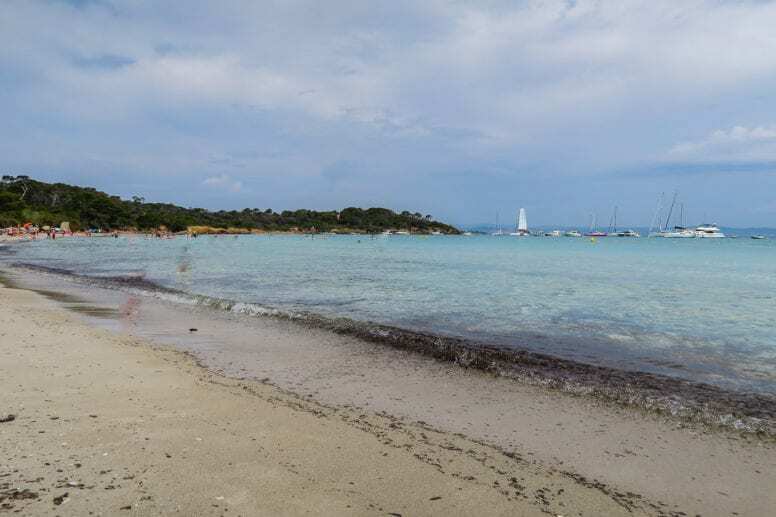 The beautiful beaches and nature in Porquerolles Island are very well preserved thanks to the strict rules that forbid the use of cars, smoking, and making any kind of loud noise. In fact, the only “noises” you can hear in this beautiful place are the relaxing sounds of birds singing and of the waves hitting the shore. Other rules that need to be respected when visiting the island include no camping, no dogs on the beach, no picking flowers, no bonfires and of course keeping the place clean and not leaving any trash behind. 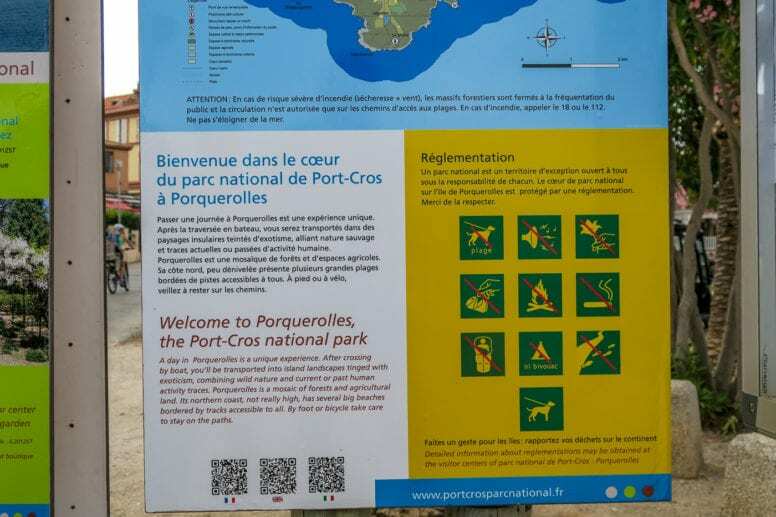 Nowadays Porquerolles Island is the most popular and frequently visited among the three Iles d’Hyères islands and attracts a large number of visitors from both France and other countries. 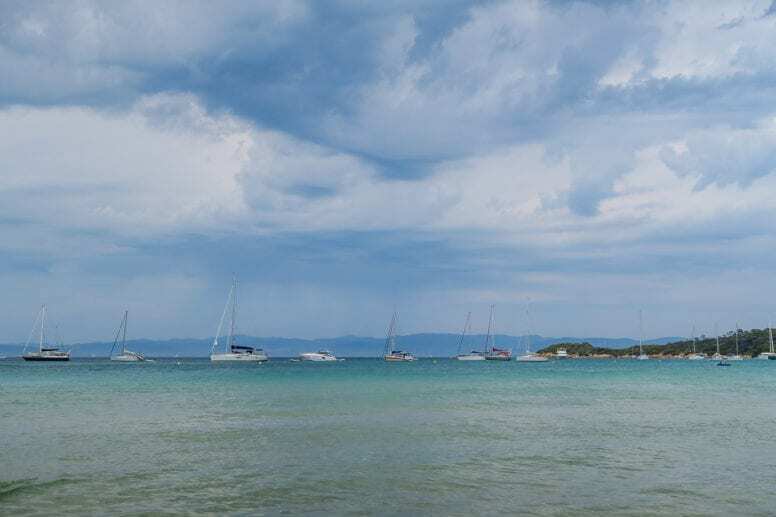 If you’re planning a holiday in this region soon make sure to bring our list of things to do in Porquerolles Island with you – we have all the best places and tips covered for you! 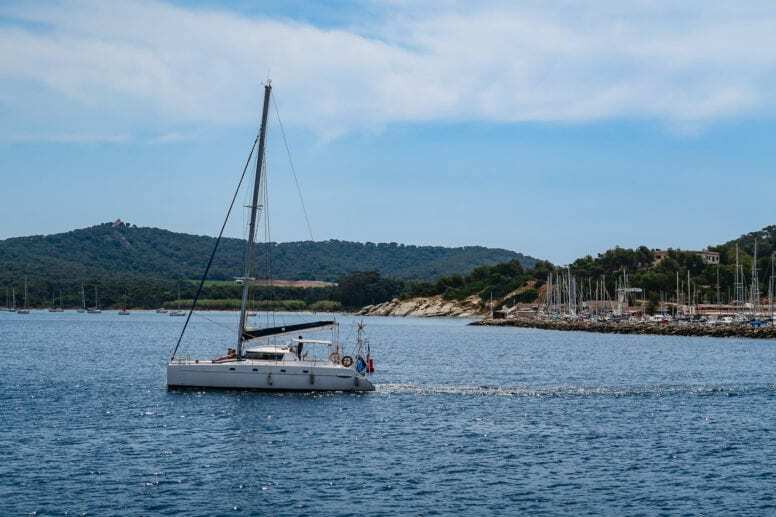 The easiest way to get to Porquerolles Island is to take a ferry or a shuttle boat that connects the island with some of the coastal towns located nearby such as Toulon, Saint-Tropez, Saint-Maxime or Sanary just to name a few. Check the official website for Hyeres tourism to get more information about timetables and ticket prices. 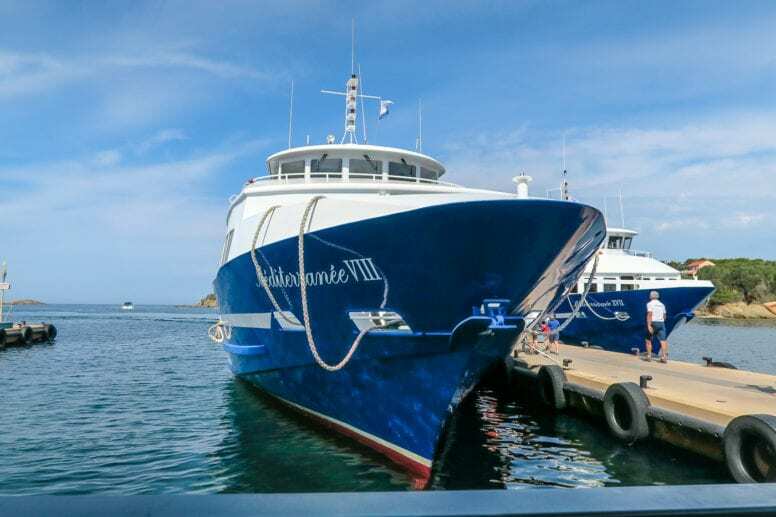 There is a practical shuttle boat service between Porquerolles Island and the port of Giens that runs frequently during the summer months. If you’re traveling by car, there’s a large parking lot located near the ticket office. The journey to reach the island takes around 15-20 minutes and a return ticket for adults costs 19.50 euros while children under the age of 4 travel free of charge. 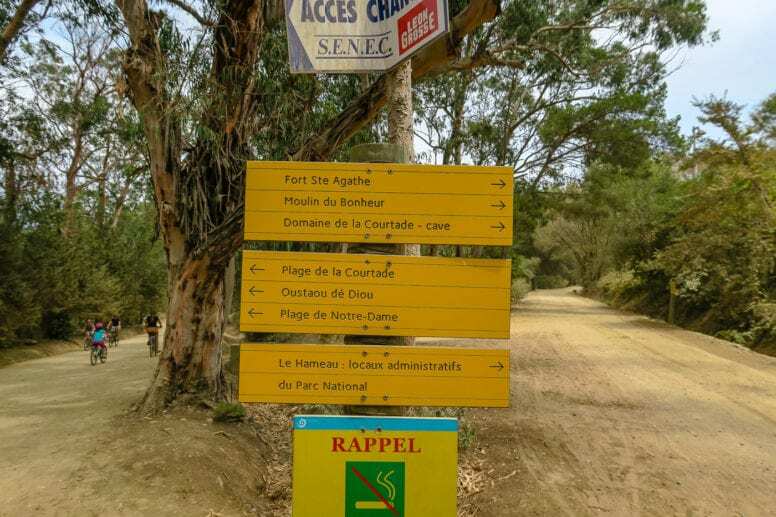 Once you get to Porquerolles Island you can either walk everywhere or rent a bike in one of the rental offices available there. Travel tip: Porquerolles Island is conveniently located nearby many wonderful French Riviera towns. 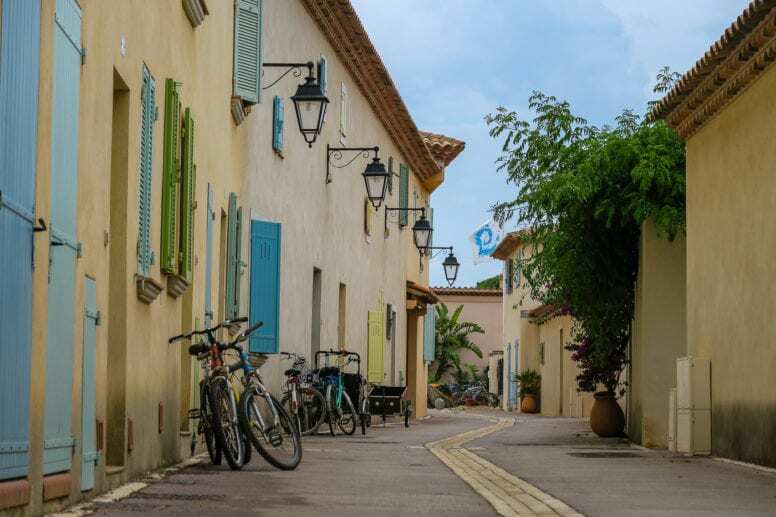 If you’re staying in this region for a longer period of time you should definitely visit the famous city of Saint-Tropez, have a romantic dinner by the canals of Port Grimaud, or learn all about art in the graceful towns of Aix-en-Provence and Saint-Paul de Vence. Those of you who want to learn more about history should take a day trip to the ancient town of Avignon. In the northeastern side of Porquerolles Island lies one of its most beautiful beaches – Plage Notre Dame. You can either choose to walk there and it will take around 40 minutes from the central village or go by bike. If you opt for walking remember to wear comfy shoes and keep in mind that depending on your fitness level, the hike might be quite demanding. Plage Notre Dame is a lovely and peaceful site with beautiful turquoise water and a sandy beach. Because it is located off the beaten track, this beach is hardly ever overcrowded and makes a perfect spot for a relaxing and tranquil time in the middle of nature. Like most beaches in Porquerolles Island, Plage Notre Dame is a free beach which means it doesn’t have any facilities. Make sure to bring your own water, snacks and lots of sun cream as well! Another interesting spot to add to our list of things to do in Porquerolles Island is certainly the 17th century Fort du Grand Langoustier. This French military fort is located at the western end of the island, right on the tip of Grand Langoustier. It overlooks the bay of Port Fay and faces the pier of the Tour Fondue on the peninsula of Giens. It is surrounded by a defensive fence while the interior features a cistern and powder magazine. Fort du Grand Langoustier underwent a complete renovation between 2006 and 2010 but is nowadays shut to the public with exceptional visits allowed during the European Heritage Days. On the northwestern part of the Porquerolles Island lies another stunning beach – Plage d’Argent. Compared to Plage Notre Dame this beach is much easier to reach as it is located less than a mile away from the center of the village. Because of that, it makes a perfect destination for families with small children or visitors who can’t walk long distances. Plage d’Argent which takes its name from the white quartz present in the sand is a quiet bay with clear water and stunning views. 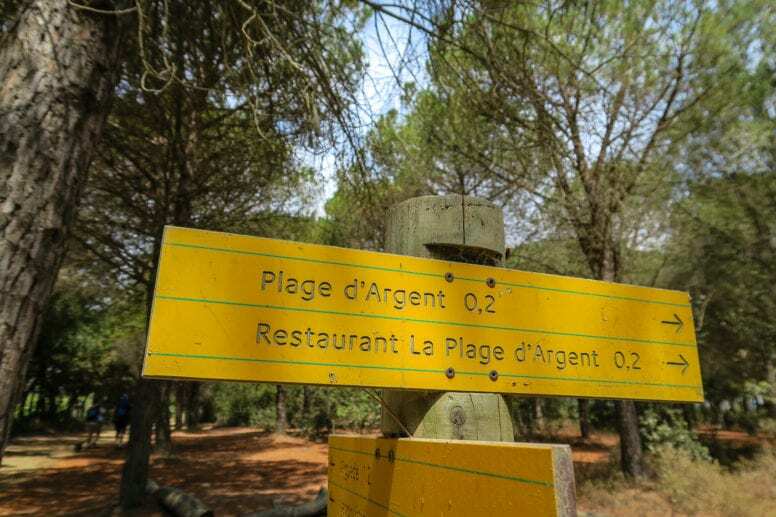 Unlike other beaches in Porquerolles Island, Plage d’Argent has its own restaurant which means you can enjoy a delicious meal with a view of the sea and not worry about bringing your own food. Fort Sainte Agathe which was built on the site of an ancient castle has been overlooking Porquerolles Island since the 16th century. In fact, because of its strategic position, the Fort held a crucial role in the control and defense of the island from the barbarian invasions over the centuries. On top of the structure, there is a wonderful terrace which offers a stunning view of the island and of the Hyères bay. 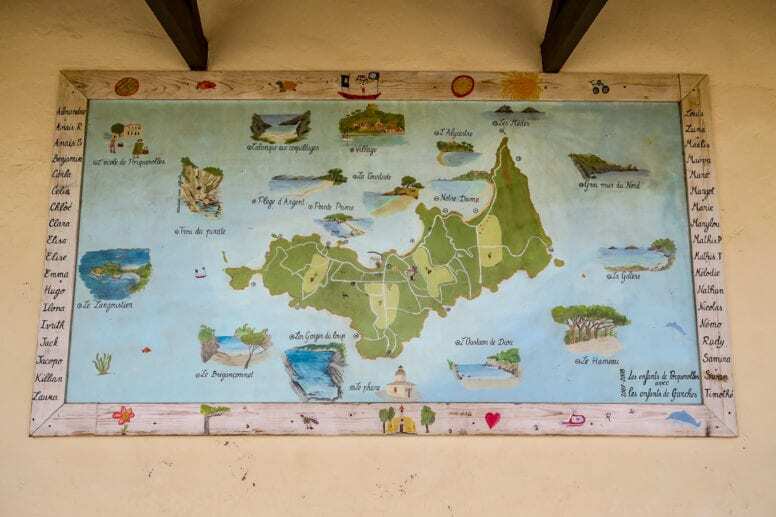 Fort Sainte Agathe is well preserved and nowadays hosts interesting temporary exhibitions as well as a permanent one regarding the terrestrial and underwater heritage of the Hyères Islands. Plage de la Courtade is the nearest beach to reach from the center of the Porquerolles village. In fact, it takes only a 5-minute bike ride or a 15-minute walk to get there. The convenient position makes Plage de la Courtade the busiest beach on Porquerolles Island with lots of people taking advantage of its crystal clear water and warm sand. Luckily it is also the biggest beach available so finding a nice spot for relaxing and lying in the sun shouldn’t be a problem. Plage de la Courtade is a wonderful place to visit and an excellent location for swimming, snorkeling and admiring the boats and yachts moored nearby. Another important point of interest on our list of things to do in Porquerolles Island is, without doubt, the Fondation Carmignac. Created by a French businessman – Edouard Carmignac, this is a unique place and a real treat for every contemporary art lover. Set in a picturesque location, Fondation Carmignac is home to original sculptures, unique art installations and amazing paintings that will make you live one of a kind cultural experience. Many of the incredible exhibits are located outside while you will need to take your shoes off to actually enter the museum. Visiting Fondation Carmignac is an enriching experience and it comes highly recommended on our selection of things to do in Porquerolles Island. 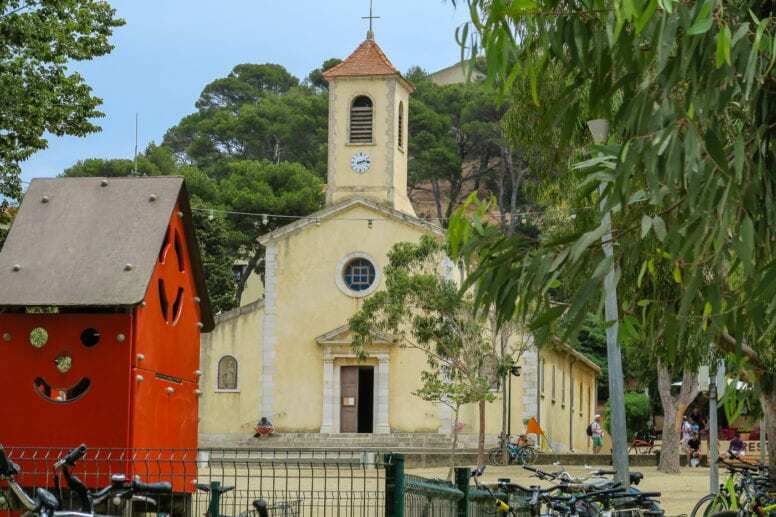 Eglise Sainte-Anne de Porquerolles is a Catholic church built in 1850 which initially served as a military chapel. It is located right in the heart of Porquerolles village and is an important point for both residents and for tourists. Inside the church, you can admire the various Stations of the Cross and also the beautiful stained glass windows. Above the village of Porquerolles and behind the fort Sainte Agathe lies the beautiful Moulin du Bonheur – Porquerolles Island Mill. It was rebuilt in 2007 on the ruins of an old mill from the 18th century, faithfully reproducing the mechanisms of cereal mills of Provence. Although it takes a hike uphill to reach this place, it is totally worth the trouble because both the mill and stunning views of the island repay your efforts. Another charming place on our list of things to do in Porquerolles Island is the amazing garden – Jardin Emmanuel Lopez together with Maison du Parc. If you want to spend some time surrounded by beautiful trees and plants and discover different flora species from around the world then you should definitely visit this place. Although it is currently closed to the public, Porquerolles Lighthouse is a charming sight to see and one of the most photogenic spots in Porquerolles Island. Dating back to the 19th century, the lighthouse used to play a crucial role in the island’s life, ensuring safe entries to the harbor and assisting the navigation. If you’re looking for accommodation in Porquerolles Island you should definitely take Hôtel Le Porquerollais into consideration. Situated in the central part of the village, this hotel has its own restaurant which serves mainly seafood and local cuisine. 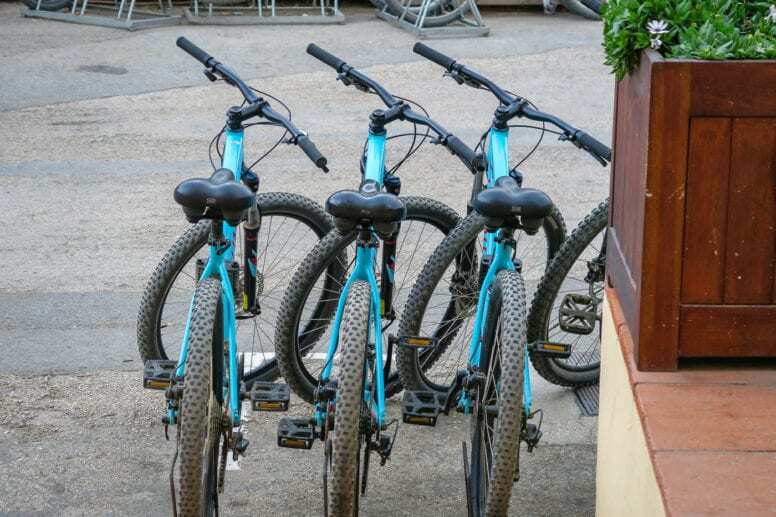 It’s pretty easy to explore the island from this hotel, with all the main points of interest that can be quickly reached both on foot and by bike. The rooms are pretty small and simple but have all the necessary equipment for a comfortable and enjoyable stay. L’Oustaou De Porquerolles is a charming, small hotel with just five rooms that guarantees a cozy and easy-going atmosphere. There is a lovely restaurant of the same name available as well where you can enjoy delicious food with an amazing view of the port. The whole structure comes in a contemporary style with lots of wooden elements. The central position of this hotel will help you make the most of Porquerolles Island and experience first hand its village life. Auberge des Glycines is a charming hotel located in the heart of Porquerolles Island that comes in a typical Provencal style. The beaches and other attractions are located nearby and you can take pleasant walks around the island. There is a lovely buffet breakfast available and a romantic patio space as well, ideal for dining and enjoying drinks outdoor. Auberge des Glycines features rooms in soothing pastel colors with lots of natural lighting and the whole hotel is a perfect blend of comfort, coziness, and simplicity. Another interesting place to stay in Porquerolles Island is certainly Hotel Residence Les Medes. Immersed in greenery and only a short walk away from the beach, this hotel is a perfect location for a relaxing holiday. Hotel Residence Les Medes offers modern and comfortable rooms and depending if you’re traveling alone or in a couple, there are different options available. In fact, apart from the classic single and double rooms, there is also a lovely apartment for four people which is ideal if you’re traveling with children or with friends. It comes with all the necessary facilities such as a microwave, a fridge, and a stove so you can prepare your own food any time you want to. We’re going to spend a week on Porquerolles island in late April. I hope the weather is going to be nice. Thanks for this post and your insights. Visited this place last August and had the best time. Porquerolles Island is a small piece of heaven on earth.